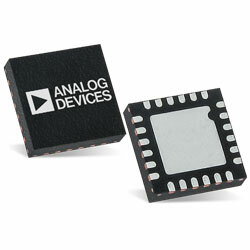 Analog Devices’ analog switches and multiplexers provide a broad range of devices covering single to multiple switch elements. These switches and multiplexers come with various signal ranges in a variety of packages to suit different application needs. The analog switches and multiplexers are used in a wide and growing range of applications from industrial and instrumentation to medical, consumer, communications, and automotive systems. The RF-MEMS switches approach superior reliability with excellent precision and RF performance from 0Hz (DC) to 14GHz. The MEMS switches require a low-voltage, low-current power supply driver IC, and a wholly independent parallel logic control interface. These driver ICs are compatible with standard CMOS logic drive voltages. The switches are provided in a standard surface-mount space-saving LFCSP plastic package with 5mm x 4mm dimension. These MEMS switches can be used in aerospace, instrumentation, defence, healthcare, communications, and other important markets.